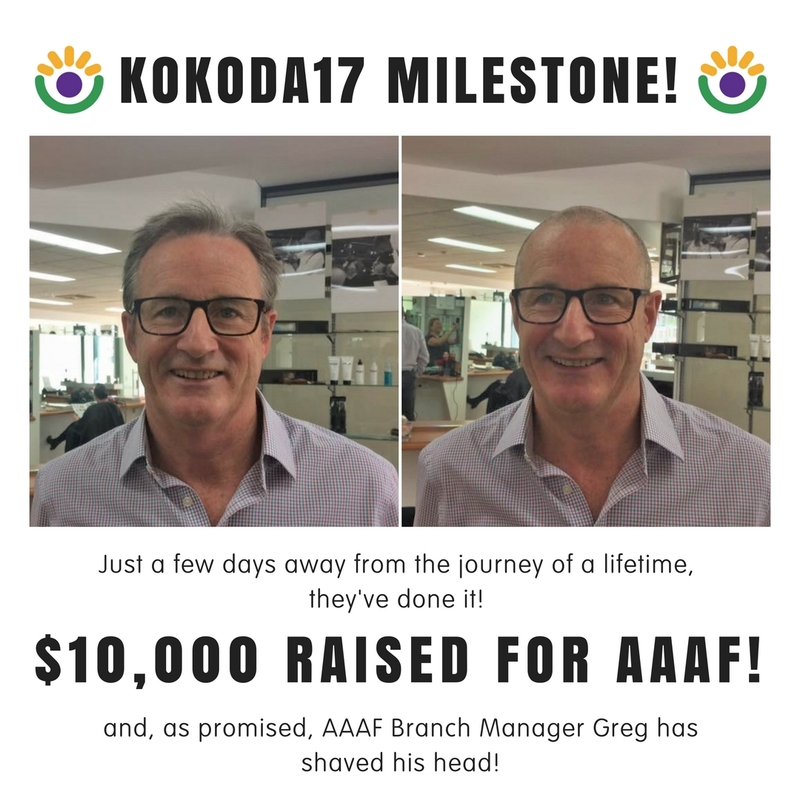 We are absolutely stoked to announce that the Kokoda17 Team has met their first fundraising goal – $10,000 towards alopecia support and research programs!! True to his promise, Greg has celebrated this milestone by shaving his head! We couldn’t be more proud of Andy, Greg, Tracey, and everyone who is supporting their outstanding efforts. With only two more days to go before they fly out and begin their 97km trek, can this team make their next fundraising goal? Help them change the lives of people and families living with Alopecia Areata by donating to their fundraiser.